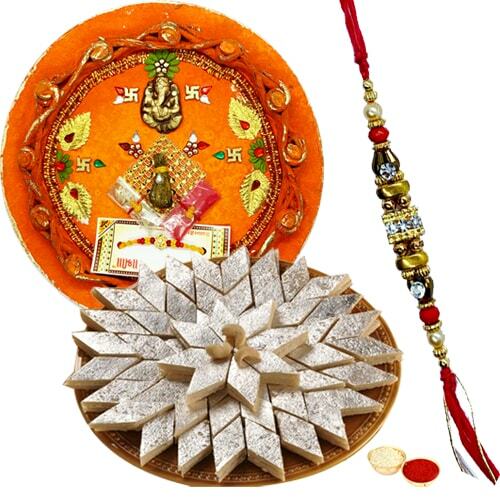 Deck the beautiful relation you share with your siblings and dear ones by sending them this Amazing Gift of Delicious Kaju Katli Sweet from Haldirams with Special Pooja Thali on Raksha Bandhan, that comes with a free Rakhi, Roli Tilak and Chawal. The quantity of the Sweet is 250 Gms and the size of the Thali is 7 to 8 inches. The pattern of the Rakhi may vary.